In the language of flowers, the lily of the valley represents the return of happiness because its blooms are at their peak in May, a month of joy when spring turns to summer and carefree days return. This delicate white flower, which grows as a row of bell-shaped blossoms nestled in long green leaves is often referred to as “porte-bonheur” which means ‘bringer of happiness’. A bundle of these flowers can also stand for a symbol of luck and prosperity in an upcoming year or season in one’s life. 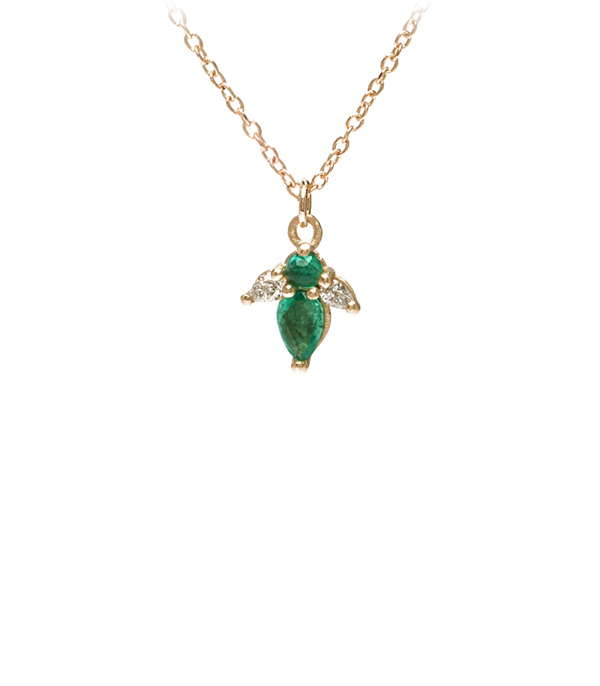 Our diamond and emerald gem-set necklace represents a single blossom of the lily of the valley flower. 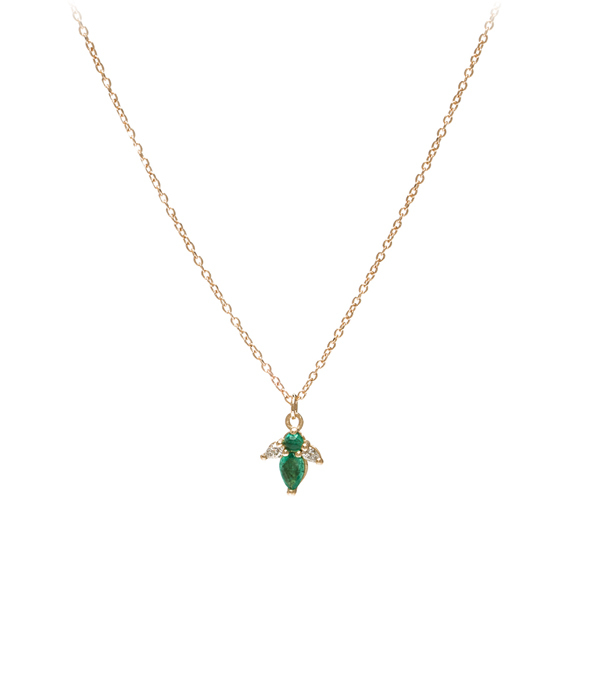 We love the almost abstract representation, making this necklace both a modern piece that speaks about color, shape and form, as well as a sentimental one. This charming necklace would making an excellent gift for anyone embarking on a new chapter of life, who deserves a return of happiness. Chain measures 16".